Phoenix is the most populous city in the state of Arizona and the state's capital. As you would imagine, with a large and diverse population, there are many free or inexpensive things to do in the Phoenix area. Arizona Cardinals Training Camp – The Arizona Cardinals professional football team hosts free open practices and training for their players at their practice facility at University of Phoenix Stadium. Admission and parking are free at the stadium during these practices. Fans of American Football get a chance to watch player drills, take part in interactive games, and some lucky fans may even get a chance to ask for autographs. The schedule is announced in July before they begin playing organized games. Visit their News and Events page for updates. Arizona State University Art Museum – Arizona State University operates this art museum, and it is located on their main campus, just 15 minutes outside of Phoenix proper. They host impressive collections of print arts, ceramics, and sculptures from around the world. Art from the region is represented as well, with art from local artists as well as art from the Southwestern United States on display. 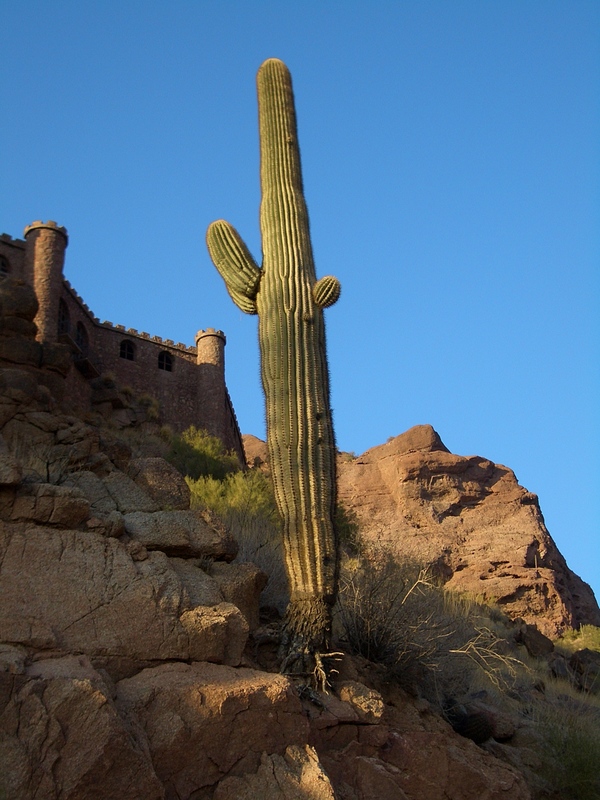 Camelback Mountain – One of the best and most popular hiking locations in the state, those who endeavor to undertake Camelback Mountain will, at times, be literally climbing rocks. It is not as perilous as it sounds, as the rocks are mainly flat and have crevices for support. Admission is free, but make sure to stock up on plenty of water and sunscreen, as the Phoenix sun can sometimes be unforgiving. Japanese Friendship Garden – A joint project of the city of Phoenix and its sister city, Himeji, Japan, visitors to the Japanese Friendship Garden can expect to tour the beautiful tea, stone, and courtyard gardens. It is modeled after a traditional Japanese strolling garden and is well worth the $10 admission. Adobe Mountain Desert Railroad Park – Perhaps riding model trains is not the first thing that comes to mind when planning a weekend getaway, but if you are looking for a fun and unique outdoor activity, the Adobe Mountain Desert Railroad Park is a great option. You'll get to ride model trains, visit their railroad museum, and view preserved railroad cars. The railroad park is free, but donations are accepted. Mystery Castle – Amazingly, this Phoenix landmark was built by one man as a gift to his young daughter. It is said to be made from salvaged materials like automobile parts, old rail tracks, cement, and mortar. The daughter, Mary Lou Gulley and her mother actually moved into the castle upon her father's death and today tours of this handmade castle are offered from 11am to 4pm on Thursday through Sunday each week. Admission costs $10. Char's Has The Blues – Char's promotes itself as the best place to hear live music any day of the week, and with no cover charge on Monday to Wednesday, and a $6 or less cover the rest of the week, it is also a bargain. The setting is laid back yet upbeat and the bands are fantastic, which keeps people coming back for more. Check their website for their schedule of R&B, Blues, and Funk bands. Arizona Capitol Museum – A free museum where you can learn about the history of Arizona and see documents from the state's history. Their archive collection is a boon to anyone interested in learning more about Arizona's history. Phoenix First Fridays – On every first Friday of the month, art venues, museums and galleries throughout Phoenix's downtown area open their doors to visitors, who are encouraged to mingle and enjoy the culture of Phoenix's art scene. First Fridays is free and most spaces are open between 6pm and 10pm, though some spaces may keep their own hours. Maps of the open venues are available on their website or at the Phoenix Art Museum. Super Saver Cinemas 8 – A discount movie theater is hard to pass up. If you didn't catch a film on its first run or simply don't want to pay full ticket price and don't mind waiting to see new releases, Super Saver Cinemas is a great option. Movie times are on their website and shows are $3.00 almost every day, except Tuesdays when tickets are $1.50.